During a regularly scheduled meeting, December 4, 2018, the Upper Columbia Conference executive committee voted an official conference position banning activities of the group calling themselves the World Church Affirmation Sabbath (WCAS). Following a thoughtful and open discussion of the distractions being created in UCC churches as a result of WCAS activities and actions, the conference executive committee overwhelmingly voted to ban WCAS public or private activities from UCC churches, schools and property. Furthermore, UCC pulpits are not to be used to promote the WCAS or their divisive agenda. 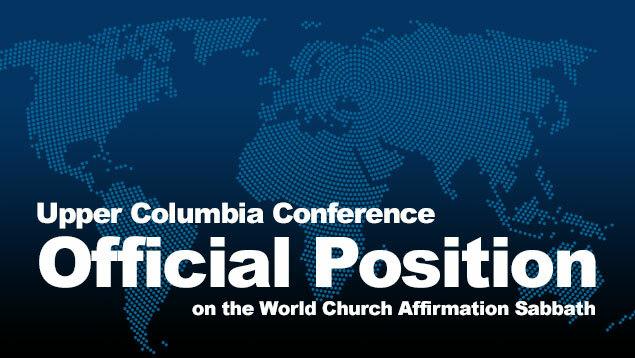 A document outlining the conference position on the WCAS and its activities was shared with pastors and church leaders across the conference. This article was written by Jay Wintermeyer, assistant to the president for communication in the Upper Columbia Conference. It originally appeared on the conference website and is republished here with permission. Image courtesy of Upper Columbia Conference.